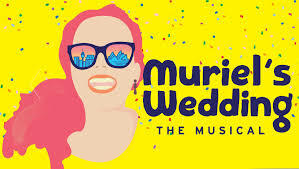 Describe being cast in Muriel’s Wedding the Musical? I’m extremely excited to be cast in this show. The audition process was one of the most challenging I’ve faced so it was a great joy to get the call saying I got the job. It’s always a privilege to work at the STC and the team of creatives they have assembled for this project are pretty amazing. I’ve long admired Simon Phillips as a director and am thrilled to get the chance to work with him. He really is ‘the dude’ when it comes to big, new Australian musicals so I feel like we’re all in very good hands. I would be lying if I said I wasn’t a teeny bit nervous about delivering ‘that line’ but that’s also one of the parts I’m most excited about. How does Muriel’s Wedding differ from other work you have done? I’ve done mostly straight theatre since I left NIDA so there will be some dust to brush off stepping back into a musical theatre rehearsal room. I’ve also never been part of a machine as big as this- there is a lot of energy and attention surrounding this show because the film is so beloved by so many. I think that really hit home at the media launch a few weeks ago, just how big it’s going to be, so that will be a new experience for me. I’m in tech rehearsals at the moment for another new Australian work called ‘The Plant’ which is Kit Brookman’s new play. We open at the Ensemble Theatre on July 13th. How has the Hubstudio helped you and your career? I’m so grateful that the Hubstudio exists. The ongoing classes keep my skills sharp and in check which has really helped build my confidence with auditions etc. In addition to the practical benefits of the classes refining and building my skill set as an actor, classes at the Hub have often times been a beacon of light during career dry spells. We all know how these times can wear you down mentally so to be provided by Hub with an ongoing creative outlet and sense of artistic community has been invaluable. The artist network that hub classes expose you to has helped me build connections and friendships I wouldn’t have otherwise made.